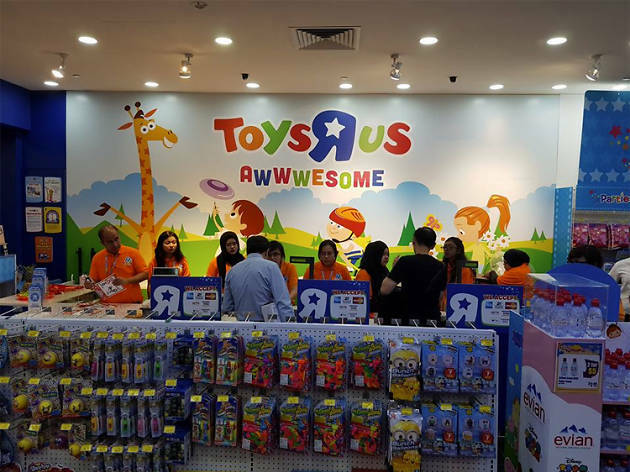 Your kids will be rubbing their hands in glee as they race down the aisles of this massive toy store in Suntec City. Carrying over a hundred popular toy brands as well as child- and baby-friendly accessories, Toys ‘R’ Us really requires no introduction. Give your tyke a treat when you pick up the bestsellers: Wham-O Fun Hula Hoop ($4.98), Nerf Super Soaker Freezefire Blaster ($21.99) and Mattel’s Hot Wheels five-car gift pack ($18.99).